My name is Shane Stauffer. I am the founder of the Salt Commander fishing blog and owner of Smoke Show Outdoors. I own a house in Wachapreague on Virginia’s Eastern Shore. Over the past 20 years, I have spent time traveling the East Coast in search of unique fishing opportunities. For the last five years, I have been documenting my adventures through writing, photography and videography. The opportunity to experience new adventures on each fishing trip in the blue water offshore, bayside waters inshore or simply walking the beaches enjoying the healthy habitat is what keeps calling me back to the sea. Visit Shane’s Blog Salt Commander at saltcommander.wordpress.com for more information. For most people, the fall season conjures images football, Jack-O-lanterns and Thanksgiving turkey. Here on the Eastern Shore it’s a bit of a different tale altogether. Yeah, we love turkey and football too, don’t get me wrong, but here on the shore oyster roasts and spectacular fishing punctuate the season. A peninsula protected on one side by the Chesapeake Bay and the other by the Atlantic Ocean, the unique characteristics of Virginia’s Eastern Shore allow residents and visitors alike the opportunity to extend their fishing season deep into the fall months. With October air temperatures hovering steadily around 72 degrees and ocean water temperatures in the 70’s, there really isn’t a better place on the east coast to enjoy great fishing while experiencing the full pallet of beauty the fall has to offer. Seasonal changes allow the savvy angler to capitalize on game fish migration patterns that are kicked off by the changing of the seasons. Fall on the Eastern Shore has always been synonymous with big stripers. These fish become available as the cooler nights and shorter days trigger them to school up and migrate from the upper reaches of the Chesapeake Bay into the open ocean. Big striped bass are just one of the species of fish that are still available deep into the fall months. 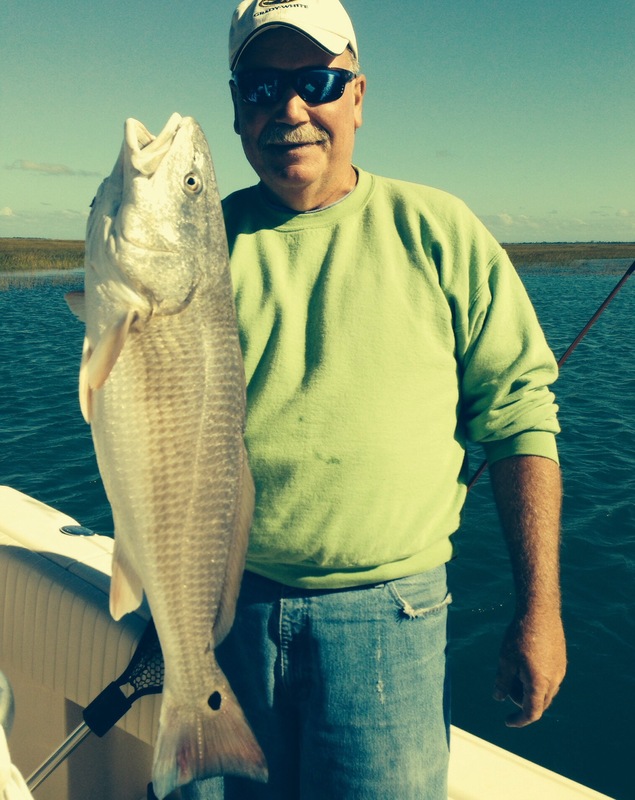 Red drum also make an appearance in the early fall and flounder fishing in the lower Chesapeake Bay remains hot into November. When windy days chase anglers off of the ocean, there are plenty of species available across the peninsula in the Chesapeake Bay including grey trout, stripers and puppy drum. Fall fishing on the offshore grounds finds wahoo, tuna and mahi-mahi fishing in its prime. Bill fishing is just beginning to hit its stride as the summer comes to an end and we transition into the fall months. Last September was a banner year for Virginia offshore anglers with many captains releasing 30 or more white marlin a day. With mild fall weather and easy access to both the ocean and the bay, fishing on the Eastern Shore is a can’t miss opportunity to land a fall trophy. Whether you enjoy casting a line into the surf or running offshore to troll the canyons, the fish will be here this fall. Make sure you come to the Eastern Shore and get in on the action. 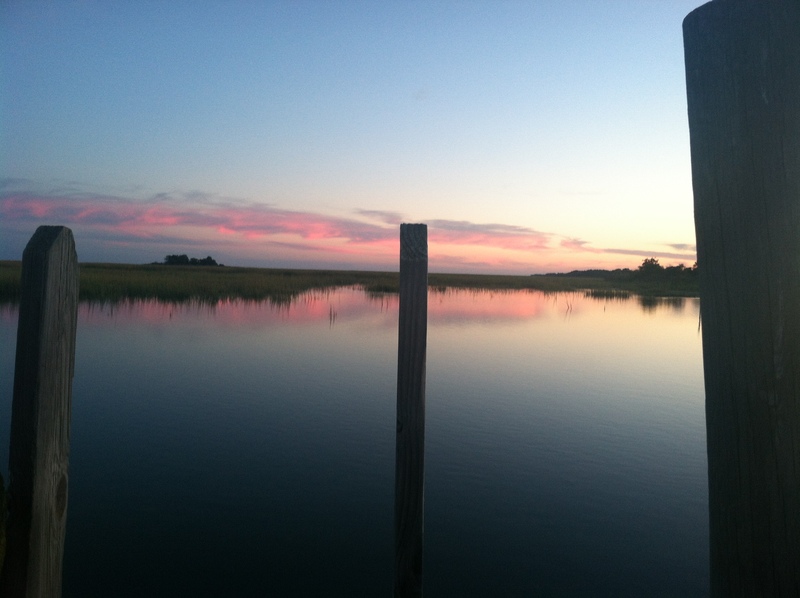 To plan your fishing trip to Virginia’s Eastern Shore click here. I am interested in the flounder fishing in September. I come in april for the early run , but would like to know if it is worth the trip. I live on the western shore St Marys Co. so it is a long drive plus hotels and so forth , but I love flounder fishing in Watchapreague please tell me if it is worth the effort. Flounder fishing in the Chesapeake Bay can go into late November. If you’d like specific information about Wachapreague your best bet is to call Trident Tackle in Wachapreague and ask them how the flounder fishing is. You can reach them at 757-789-3222.